Next → Next post: Don’t let them tell you it can’t be done. Nice! Have you seen any foxes? I saw one (a red fox, I think) last summer, near the Massey mausoleum—it jogged parallel to the road, fairly close to us, going who knows where. I haven’t seen any foxes in the cemetery yet, though I know they’re around. 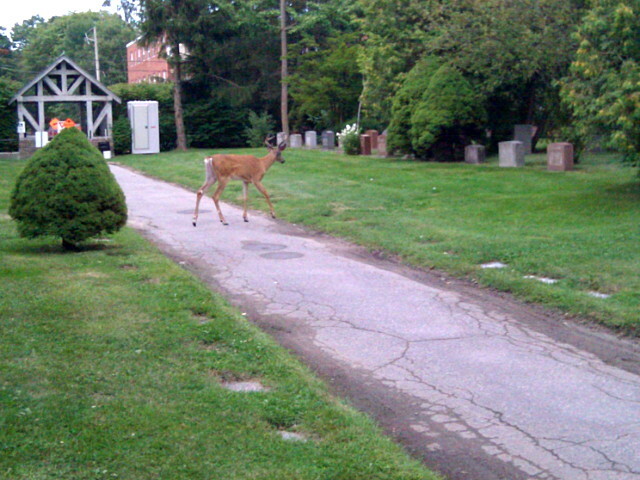 I’ve seen several nearby in the Don Valley, and even saw one trotting down the middle of my street a number of years ago.